Mayan Name: TOOJ / Muluc. Compatibility: Water, Reed, Earth, Crocodile, Serpent. Sign Water (Muluk) — the stock, retribution. The meaning of the sign is water, rain drops, the patron is the rain god Chaak, the symbol is a drop of water or a jade ring. The ancient Maya believed that the energy of rain accumulates in special pots, protected by the entourage of God Chaak. Over time, excess water pours to the ground in the form of rain. Strong thunderstorms fall in the event that the pots suddenly burst. Mayan Indians believed that jade and water correspond to each other in importance, symbolize the life force: jade is a great jewel, water is the most sacred of natural forces. 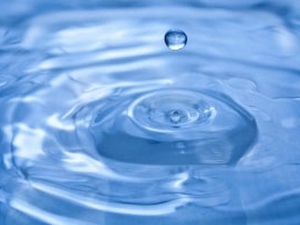 The sign Water expresses the idea of ​​hidden potential, inner potential. People born under the sign of Water are prone to chronic diseases, are forced to watch their health for life. Nature has endowed them with a sufficient supply of internal resources, fortitude and will, so if desired, they can overcome any difficulties in their path. People of the Water sign — contradictory natures, affecting the surrounding people with inconsistent behavior. They have a real passion for accumulation, try to earn as much as possible. But they can suddenly spend a huge amount of money on unnecessary things. People of this day should soberly relate their abilities and desires, only in this case they can achieve success. Creatively gifted man of the sign Water strives to bring something new into the world, loudly declaring itself. Often the people of this day become famous artists, actors, presenter. On the way to the desired goal, they show the best qualities: perseverance, diligence. During work, they completely forget about food and sleep, so strong is their desire to achieve success. But the possibilities of the human body are not infinite, so periods of activity can not last too long. By nature, the people of this sign are sluggish and unhurried: the state of rest and detachment is quite natural for them. Passionate people sign Water literally dissolve in a partner. In a romantic relationship, they fully manifest their sexuality. They have enough vital energy to endlessly surprise the chosen one. Perhaps nothing so fully characterizes the people of this sign as their relationship to the partner: in a fit of feelings they completely trust the instincts, throwing away doubts and unnecessary reflections. In loving relationships, they draw strength and inspiration, provided that the feeling gives joy, and does not bring problems and disappointments. It’s hard for surrounding people to recognize the character of the man of the sign Water, so this is a contradictory nature. An indecisive, gentle person seems too easy prey for an imperious woman. But, if necessary, it can show firmness, exactingness. It can not be called uncomplaining, ready for everything by a partner. In the depths of the soul, the sign man Water is building ambitious plans, simply does not consider it necessary to share them with everyone. She strives for a comfortable life, passionately wants popularity and fame, and has all the necessary qualities for this. Woman of the sign Water tends to exaggerate the problems, often doubts its strength and completely in vain. Has a powerful internal potential, can overcome any obstacles. He needs a strong partner, who will devote himself without a trace. But there is a high probability that there will be a select few: too subject to passions, completely given to feelings. He has a fragile health, so he pays a lot of time for his physical condition, forgetting about the soul. But it is the hidden opportunities that can give it strength in the most difficult moments of life.